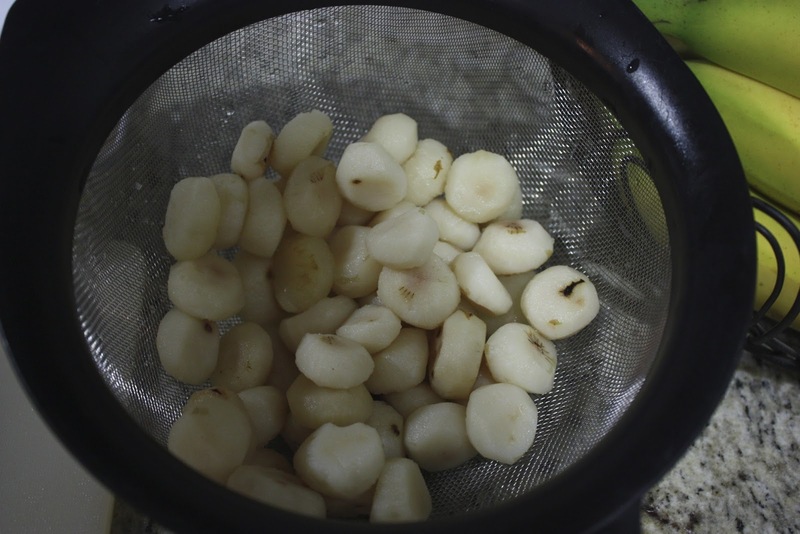 2 cans whole water chestnuts, drained. 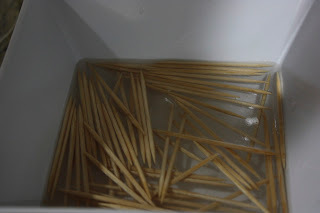 Soak your toothpicks in water. Take a piece of bacon and wrap the whole chestnut, sticking the toothpick in the top to hold it together. 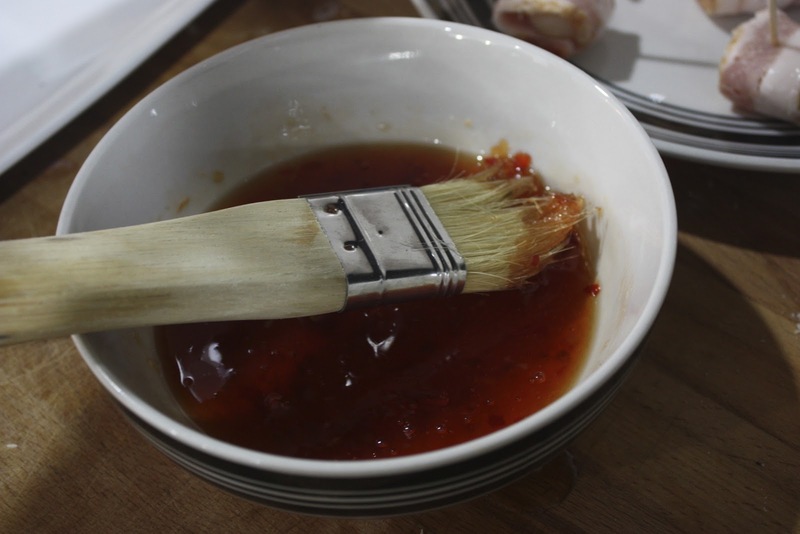 When all your chestnuts are wrapped brush the glaze onto the bacon. 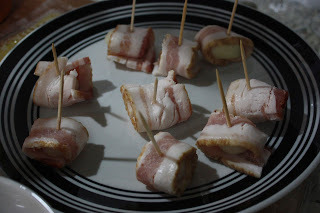 Place on a baking dish lined with foil. 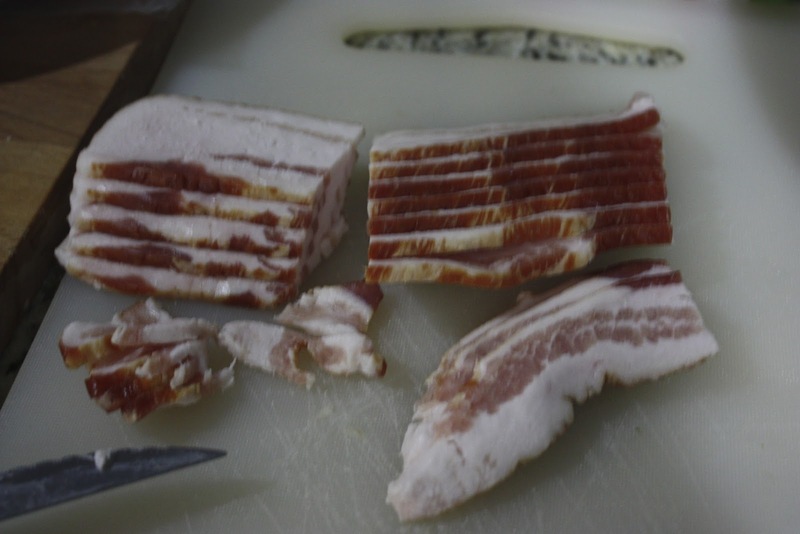 Place in a 325 degree oven until the bacon has rendered and is crsipy. Low and slow on this to make sure the bacon cooks well.